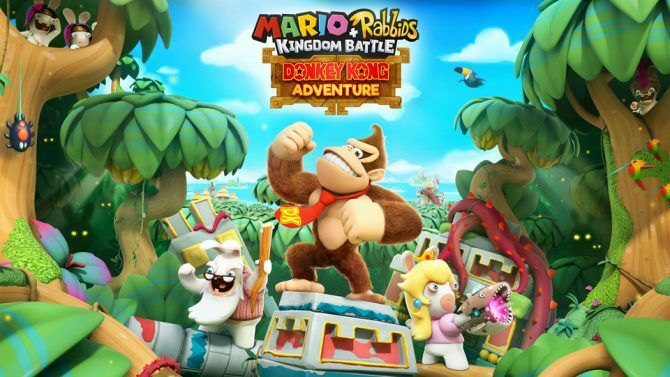 Ubisoft has released the first trailer for the Mario + Rabbids Kingdom Battle: Donkey Kong Adventure DLC, which hits Nintendo Switch this June. During January’s Nintendo Direct Mini, Ubisoft revealed that Donkey Kong would be coming to Mario + Rabbids Kingdom Battle as DLC. Today, the publisher released the first trailer for the DLC, tilted Mario + Rabbids Kingdom Battle: Donkey Kong Adventure, which is releasing sometime this June. 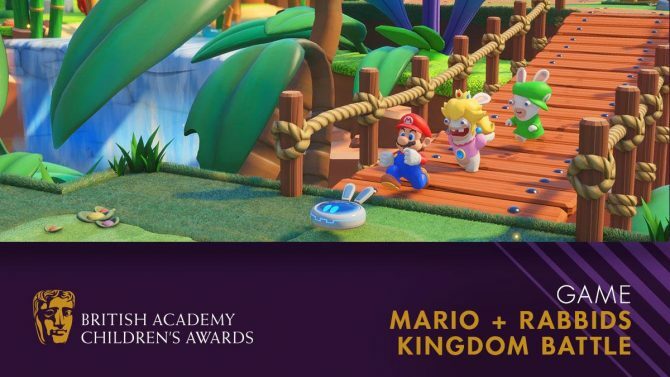 This DLC has Donkey Kong partnering Rabbid Peach and Rabbid Cranky to fight off an angry Rabbid Kong. Donkey Kong Adventure also takes place on a brand new island that is split into four different zones. According to the developers, this DLC will include over 10 hours of new content for players to enjoy. When it comes to fighting, Donkey Kong can use his Bananarang, which can hit multiple enemies with one toss, and his ground pound, which is great for close range combat. He also has a special ability called Hairy Eye that functions like Overwatch in the XCOM games. Donkey Kong can also use his bongos to draw enemies closer, and throw both characters and objects across the map. Meanwhile, Rabbid Cranky weild a cane that can also function as a crossbow. In addition to combat, Donkey Kong Adventure also includes several puzzles for players to solve along the way. You can check out the first trailer for the Donkey Kong Adventure DLC below. 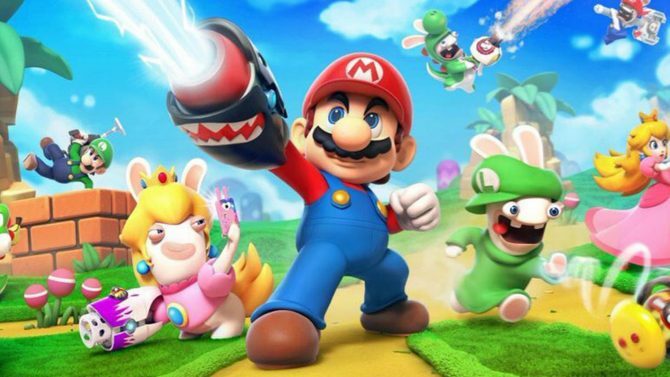 Mario + Rabbids Kingdom Battle is currently available on Nintendo Switch, and can be picked up on Amazon. Composer Grant Kirkhope and Creative Director Davide Soliani interview each other about working on Mario + Rabbids Kingdom Battle: Donkey Kong Adventure.